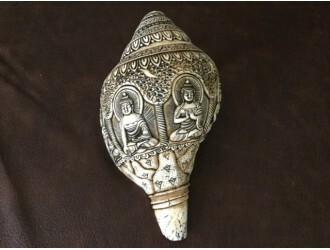 Natural Sea Conch shell with great Sea sound. 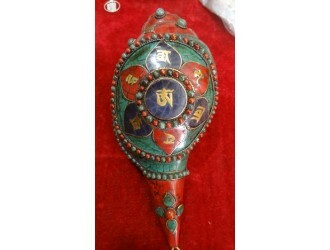 To make it special decoration purpose, hand carving of..
Natural Conch Shell, multi color stone setting with Buddhism symbolism called "Asthamangal" al..
Natural Conch Shell, decorative by multi color stone setting as Lotus Flower and Buddhism Mantra let..
Natural Sea Conch Shell with stones setting all over as Lotus Flower and Buddhism Mantra setti..
Natural conch Shell, hand carving of Dhyani buddhasDHAYANI Buddhas are emanated from Adibuddha. 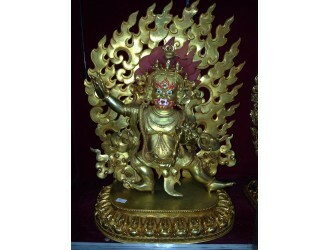 Ther..
Full Gold Plated, 20 Inches heightVajrapani with the Vajra symbol is the spiritual son of the ..
Ganesh, the elephant Head god of wisdom and success is the defender and remover of obstacles and ha..
Natural Sea Conch shell with finest hand carving of Goddess Green Tara. 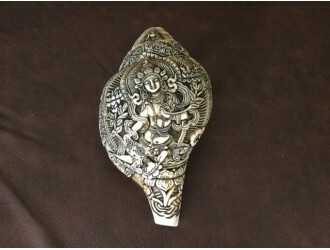 Green Tara,the spiritua..
Natural conch Shell with hand carving of Hindu deity of Brahma group and eight terrible deities of t.. 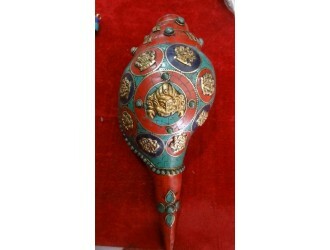 Traditional Tea Pot, made of copper with multi color stone setting and auspicious signs as decoratio.. 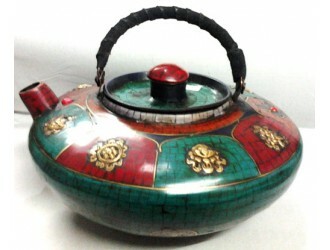 Traditional design Tea Pot, made of copper with multi-color stones setting. 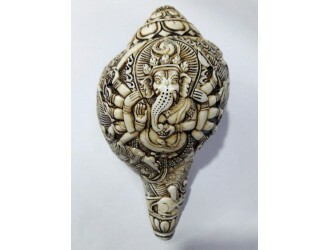 different shape and siz.. 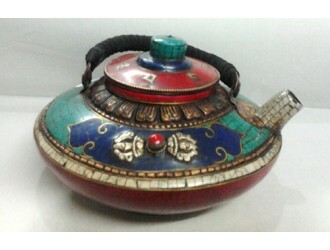 Traditional design Tea Pot, made of copper with multi-color stones setting. 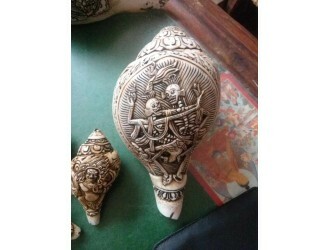 different shape and size..